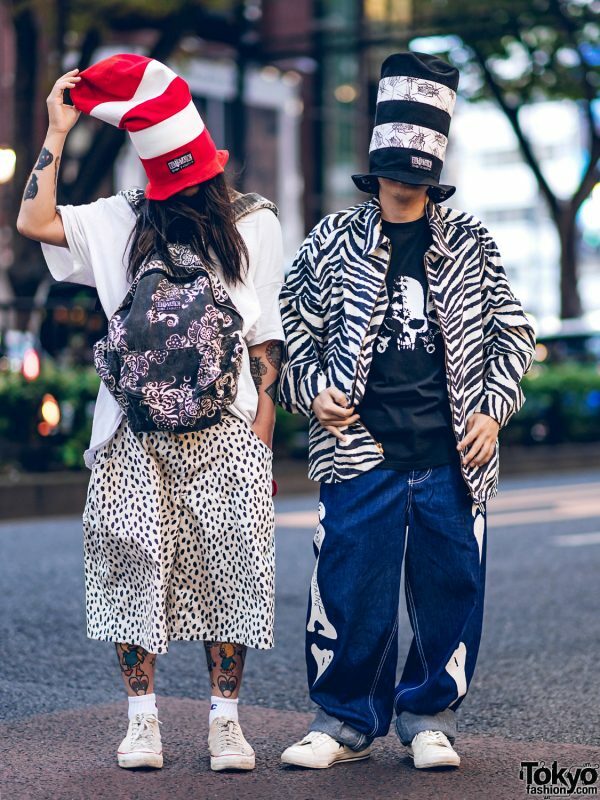 Catching our eye on the Harajuku street one early evening are Seki and AZ of Buttstain Anti Fashion wearing retro skate inspired fashion consisting of bold prints. 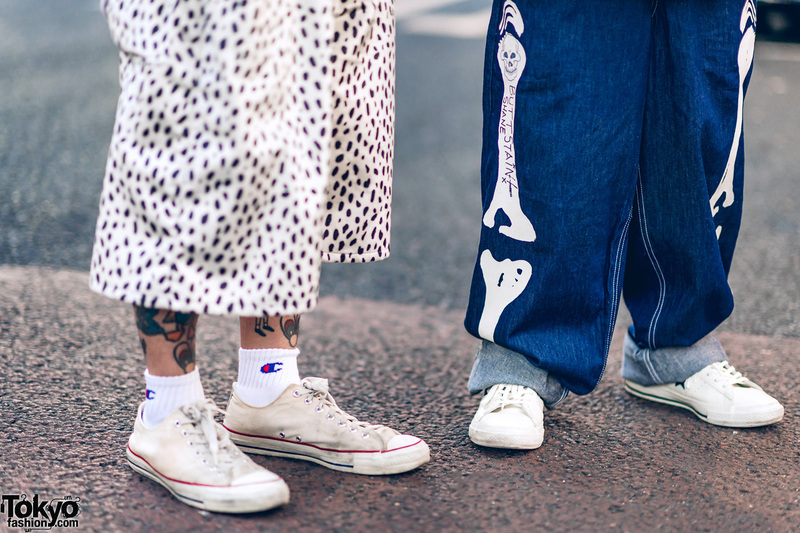 At the left sporting long hair is AZ, whose ensemble consists of a vintage white loose shirt, white-and-black polka dot long shorts from Buttstain, white Champion socks and a pair of vintage white Converse sneakers. 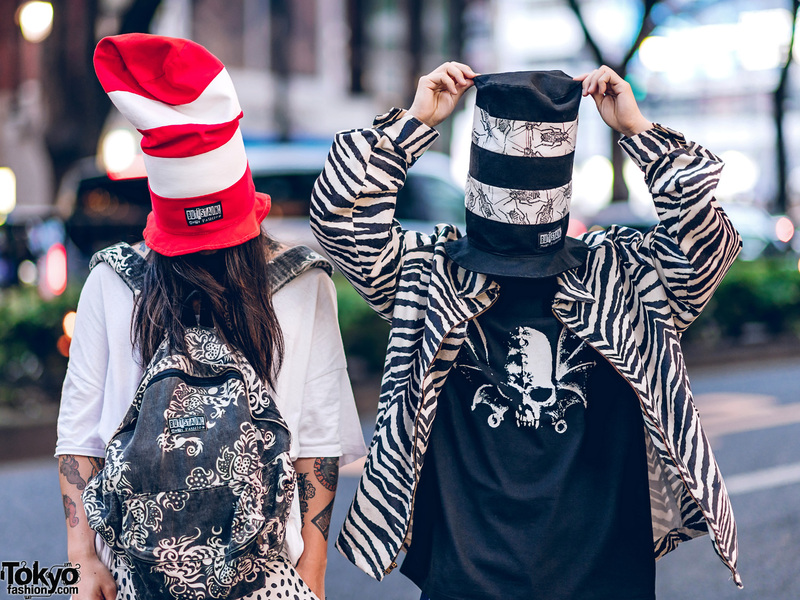 A red-and-white striped extra tall Dr Seuss Cat in The Hat striped tall top hat, a black backpack with white dragon prints strapped across his chest – both from Buttstain – and colorful graphic tattoos rounded out his grungy style. 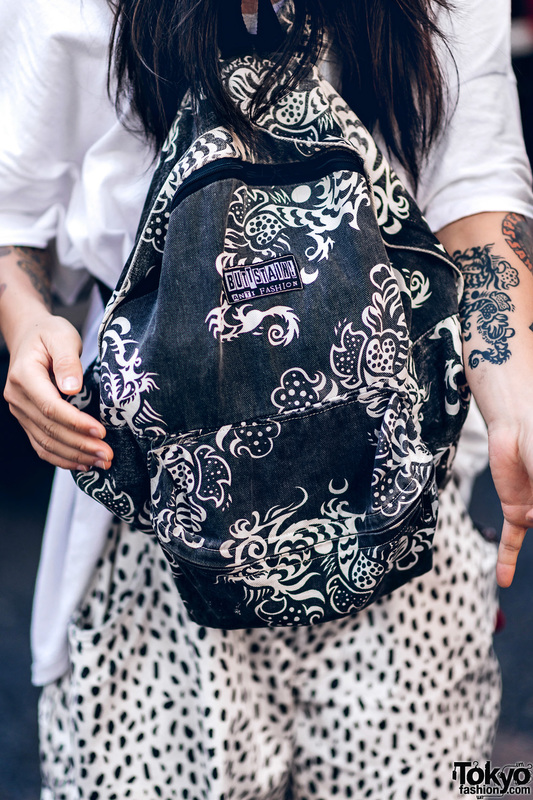 Follow AZ on Instagram or Twitter. 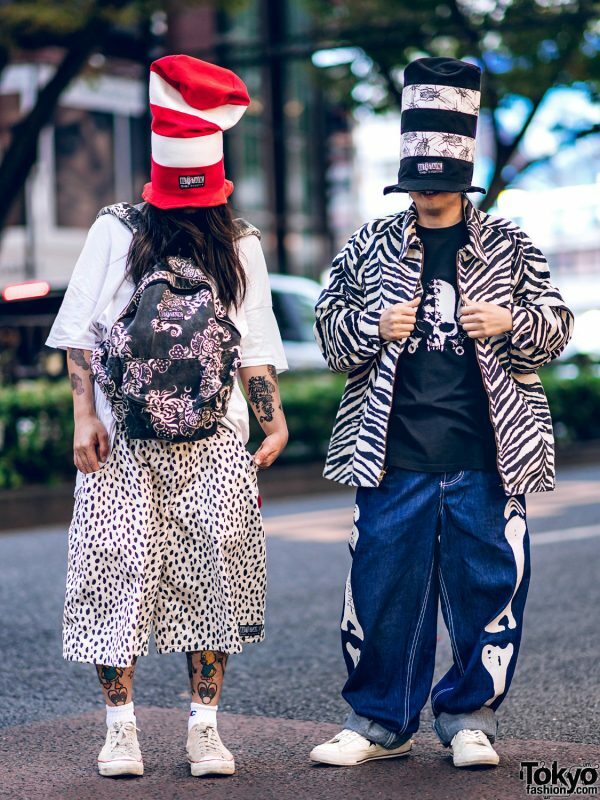 Meanwhile, Seki stepped out in a zebra print zipper jacket, which he styled with a black t-shirt with white graphic skull print and cuffed denim pants with contrast white stitching and bone prints on the sides – all of which are from Buttstain. 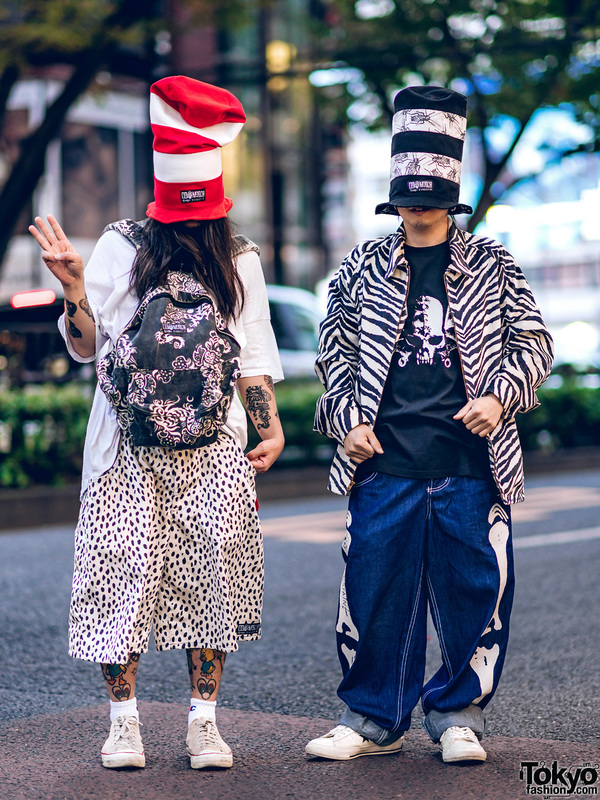 White Converse sneakers and a black-and-white striped extra tall Dr Seuss top hat with roach prints finished off his street style. 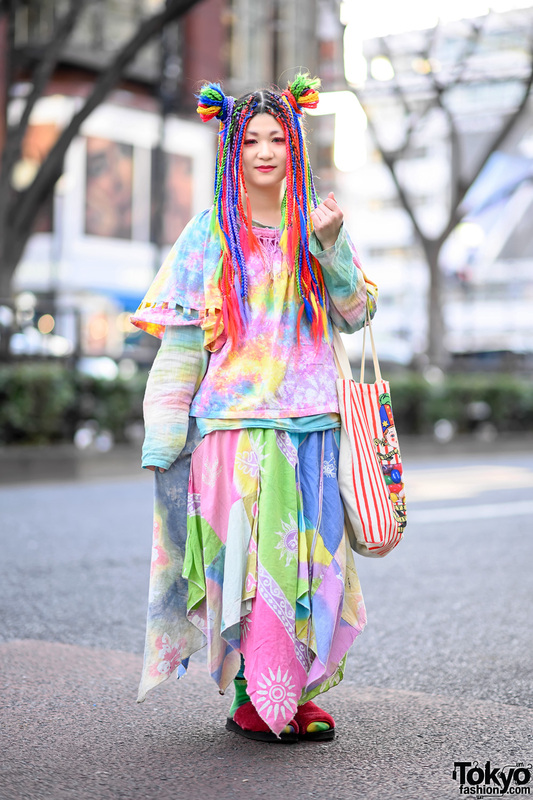 For more on Seki, follow him on Instagram.